Friday 7th March 2014, Emma Batha - LONDON (Thomson Reuters Foundation) - After Iranian film actress Marzieh Vafamehr appeared with her head uncovered in My Tehran for Sale, an Australian film critical of her home country, she was sentenced to three months in jail and a hefty fine. When Iran banned lawyer Nasrin Sotoudeh from flying to Italy to receive a human rights prize, she sent a video-taped acceptance speech and was promptly fined for not wearing a hijab in the recording. The actress and lawyer are among hundreds of thousands of girls and women who have fallen foul of Iran’s strict dress code. More than 30,000 have been arrested over the last decade for violating the law, according to a report published on Friday which calls for an end to forced hijab. Some of those detained were as young as 12 years old. Campaign group Justice for Iran (JFI) says nearly half a million other girls and women have been warned by special police patrols over alleged violations of Iran’s hijab rules, which it denounced as "a systematic and widespread human rights abuse". The report, illustrated with many accounts of girls and women who have been harassed, arrested or beaten, says Iran’s hijab laws violate numerous international treaties as well as Iran’s own constitution. Human rights lawyer Shadi Sadr, the report’s co-author, said the number of girls and women who disobey the law shows the strong resistance to forced hijab, especially among the younger generation. "Iran spends millions of dollars a year in enforcing these laws. It’s a serious and ongoing battle between the authorities and women," said Sadr, who lives in exile in London. "I know a lot of women who have been arrested for hijab. They have left Iran because they feel they cannot tolerate this any more." Many of those detained are under 18. The report says police statistics from 2010 show almost 47 percent of those arrested for hijab violations were aged between 16 and 20. Sadr said reports received by JFI showed girls as young as 12 were also detained. Iran was the first country to demand all women observe hijab. Those who violate the law can face punishments including up to 70 lashes, prison terms and fines. Shadr said lashings were less common now than in the first two decades after the 1979 Islamic revolution, but that girls and women continued to suffer beatings. The dress code impacts girls and women in many other ways. Those who have flouted the rules have been expelled from school and university. Many have been dismissed from their jobs. Students are also marked down, refused their marks or excluded from exams for failing to observe dress codes. Women face having their cars confiscated for violating hijab rules and are not allowed on planes, even for international flights, unless correctly attired. Police patrols – known as guidance patrols – are especially assigned to watch out for infractions. They often arrest women at concerts and cultural events and are even reported to use jet skis to monitor beaches and tourist islands. 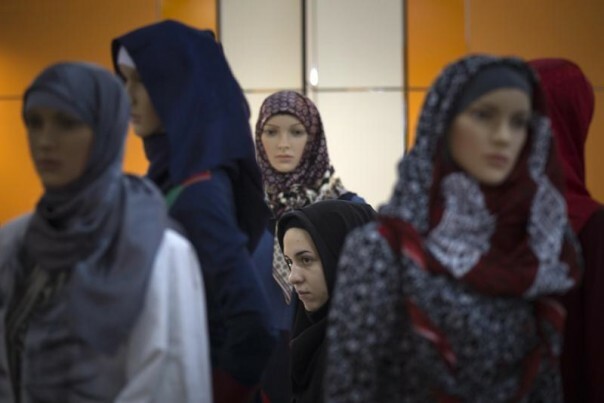 The report is released on the eve of International Women’s Day, exactly 35 years after Iran’s revolutionary leader Ayatollah Khomeini banned the entry of women without hijab into government offices. Islamic hijab was fully enforced by 1984. Iranian law is based on Sharia law, but Sadr said there were no punishments set out in Sharia law for failing to observe hijab. In Sharia law, hijab is defined as covering the hair and the body, except for wrists and hands. But in Iran, officials may deem certain choices of clothing colour, tighter outfits, make-up, trousers that are slightly too short, thick black tights and even boots as violations. Iranian hijab laws apply for all girls from the age of seven whereas Sharia exempts girls under nine and older women. The report calls on Iran to lift mandatory hijab laws and safeguard girls' and women’s rights to education, work, participation in cultural life, access to public services, and freedom of movement.